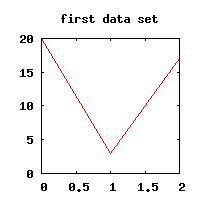 If you don't want to plot all lines in a datafile there is a way in gnuplot to achieve that called indexed datafiles. It requires though a certain datafile format and is not always applicable. Here I present an easy example how to use indexed datafiles. 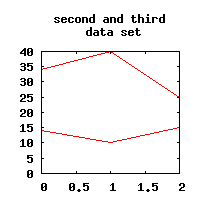 The main idea is that you want to split the rows in a datafile into chunks and plot only one or more chunks of these. The - probably not so easy to fulfill - requirement is that data chunks are separated by two empty lines. The chunks are indexed (starting at 0, thus the name indexed datafile) and can be used in a plot statement as described further down. 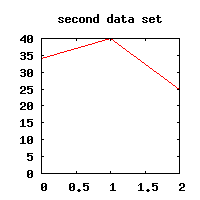 set title "second and third\n data set"